Can you get to the honey? Flap around and fly free. 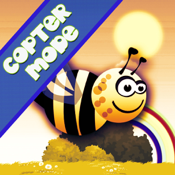 Buzzy Bee, a challenging yet super fun game.